You asked for it Gardiner and Gardiner Rotary made it happen! Picnic Tables for the Gardiner Waterfront for all to enjoy. 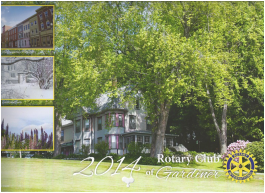 Many people are aware of Gardiner Rotary because of some of our fundraising projects. The Greater Gardiner Community anxiously awaits our Rotary calendars each year and most residents won’t buy their Christmas tree from anyone else but Rotary. Rotary members are very grateful for this support but did you know that Rotary was one of the first groups to help in the development of Gardiner’s Waterfront Park? Rotary also implemented a plan to bring electricity to this same park and was are one of the partners in planning the Greater Gardiner River Festival. We help out our community in several ways and each year we are proud to support and provide assistance to local projects. To help serve our community, the Gardiner Rotary Club donates time, money, and resources in assisting with charitable and community projects such as the local food bank, and creating an educational fund so that local high school students may have a little extra help while attending college. 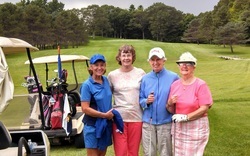 Rotarians support local sports teams and also helped to rebuild the new gazebo on the Gardiner Common. For sale! $10 Proceeds benefit student educational fund.